Timelines can help you visualize your ancestor’s life. You can set them up to include personal as well as historic events. I used Family Tree Maker’s (https://www.familytreemaker.com) Timeline Report and OurTimeLines.com, but there are many more (see a list at the bottom of this blog post). Here are some of the discoveries you might uncover when you use a timeline. 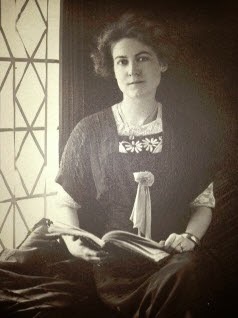 I used my grandmother, Jennie Williams Cutler (1892-1955) as an example. 1. Highlight the age differences of spouses. Jennie was four years older than my grandfather. That was unusual in the early 1900s. 2. Tells you what new technology was discovered during their lifetime. The Model T was manufactured in 1908 when she was 16. (1) Despite this, Jennie never drove a car during her lifetime. 3. Lets you know how old they were at the time of a much-publicized event. My grandmother was 20 when the Titanic disaster happened in 1912. (2) I image that she was reading the newspaper every day. 4. Tells you how old they were during a war. World War I was occurring when Jennie was ages 22 to 27. (3) I’m sure that had an impact on dating and marriages. She was middle-aged by the time of World War II. 5. Informs you of their age when important laws were passed. Jennie was 28 when women gained the right to vote in 1920. (4) Although she lost several years of voting privileges, at least she was able to vote for most of her life. Imagine her excitement! I can’t even envision what it would be like not to be able to vote. Prohibition was the law from 1918 to 1933, when Jennie was 26-41. (5) This had a big impact on families. 6. Lets you know how old they were at the time of their marriage. Jennie was 28 in 1920 when she married. I did not realize she was that old when she wed and wonder why. Perhaps she felt the need to tend to her parents since they had lost two of their children. World War I may also have been a contributing factor. 7. Tells you how old they were when their family members died. In 1906, when Jennie was 14, her brother Robert died of Typhoid Fever. The very next year, her brother William was killed by a train. How traumatic that must have been for her to lose two brothers. Her father died in 1939 when she was 47 and then two years later her mother died. I did not realize that her parents died so close in time. That too must have been difficult for my grandmother. 8. Tells you their age when they witnessed the birth of a child. Jennie was 31 in 1923 when she had her only child. 9. Shows you their age during a national crisis. In 1929, when Jennie was 37, the Great Depression hit. (6) Like most people, my grandparents had a hard time during the Depression, and they had a young child to support. 10. Gives you insight into epidemics happening during their lifetime. The 6th Cholera pandemic was prevalent when Jennie was 7 through the age 31. (7) The flu epidemic was active when Jennie was 21-28. (8) These were no doubt fears in Jennie’s mind, especially when she had seen her brother die from Typhoid. 11. Tells you the names of the presidents in power during your ancestor’s lifetime. Jennie was alive during the administration of Grover Cleveland, William McKinley, Theodore Roosevelt, William Howard Taft, Woodrow Wilson, Warren Harding, Calvin Coolidge, Herbert Hoover, Franklin D. Roosevelt, Harry S. Truman and Dwight Eisenhower. (9) The policies of presidents affect the lives of citizens in major ways. An investigation into the actions of the presidents living during your ancestor’s lifetime may shed light on their world. 12. Children conceived before a marriage. I noticed that my records showed the birth of a daughter, Melissa Marsh, in 1846 when Cyrus was 27. However, the timeline indicated a marriage date of Cyrus to Caroline Park in 1852. Now I know that I should go back and investigate this matter. It is possible that they had a child before their marriage. Perhaps Melissa was from a previous marriage or maybe Melissa doesn’t belong in this family at all. I saw that there was no notation of a residence in 1860. I checked my records for Cyrus and was reminded that I did not have an 1860 census record for him. I now need to go back and see if I can locate him in an 1860 Census. 14. A father dying before your ancestor was an adult. I noticed that Cyrus was 9 when his father died in 1828. Because his mother was still living, I will need to look for her as the head of household in the 1830 and 1840 census records. If she lived with some other family member or friend or if she married, then her discovery will be a challenge. These are some of the ways I found that timelines helped me. I am sure there are many others. Sometimes it helps to get a visual of your ancestor’s life. Timelines sum up a life and present you with a report for inspection. A different perspective is sometimes all it takes to break through that wall. You can also create your own timeline using Word. 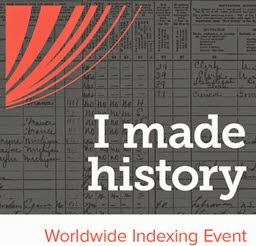 You can easily find historical timelines on the Internet, such as Wikipedia Timeline of Early Modern History and extract the dates you need for your ancestor’s timeline. There are many more websites that offer timeline programs, but I chose not to use any of the ones that make you create a password—I have enough passwords to remember. (1) “Timeline Report for Jennie Williams,” FamilyTreeMaker 2012, Ancestry.com, report generated 4 Apr 2014. (3) Custom Timeline for Jennie Williams generated 4 Apr 2014, “Create a Timeline,” OurTimeLines.com, copyright © 1994-2011 Charles Benjamin Blish. Great points and makes for an interesting look at a person's life by including those historical facts. Thanks for the ideas. You’re welcome! Thanks for reading my post.